THE politicians of the Sunshine Coast and their party leaders would do well to read today's letter's column and take note. Given Buderim MP Steve Dickson's defection to One Nation on Friday, it's not surprising it was a hot issue with letter writers at the weekend. And while the authors hold varying views, one thing they all share is a sense of anger at Australia's political classes. Ever since Joe Hockey stood in Parliament in 2014 and declared 'the age of entitlement is over', anger has been building in the Australian electorate. The raw hypocrisy of those words, from a man who now collects a fat parliamentary pension while receiving, as US ambassador, a salary that would feel like a Lotto win to most Australians, is galling. Then there's David Leyonhjelm implying anyone so 'poor' they need the aged pension is somehow in the wrong. 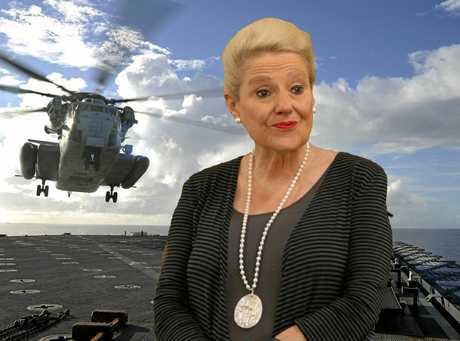 Or Bronwyn Bishop declaring objections to abuses of parliamentary entitlements are some sort of socialist plot. Australian politics is in a crisis largely created by politicians themselves. Australia's democracy was intended to confer power to the people, with the politicians providing leadership and representation. Instead we have politicians acting as though they have a right to the public trough while treating anyone on Centrelink benefits as a criminal. We have medicine and higher education moving beyond reach of regu- lar folk. We have ideologically- driven policy with little reference to reality or the wants, needs, and aspirations of ordinary Australians. Either politicians change their approach or the voters are going to do it for them.